This is a cartoon I designed & penciled in whilst on holiday in Anglesey, this August. 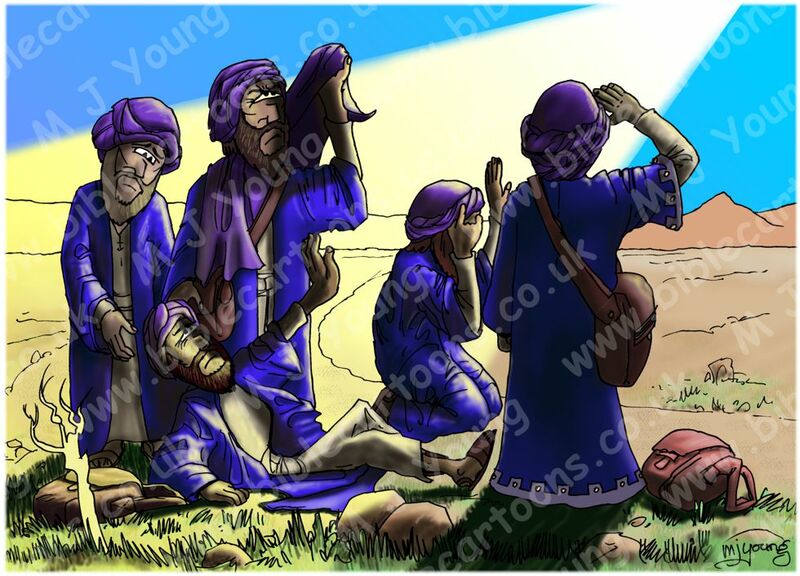 It shows Saul/Paul on the road to Damascus, being temporarily blinded by the light of Jesus. He’s the one lying on the ground. The other men are his companions. Since Paul (& probably his companions) was a Pharisee I have coloured his clothes using the same palette as I used in John’s gospel, where I have several drawings containing Pharisees.